Motorists from across the North East have been giving their views on the plan for a section of the A1 to have a 50mph speed limit. Newcastle Council revealed they are in talks with government officials for a £100m improvement plan of the key route. 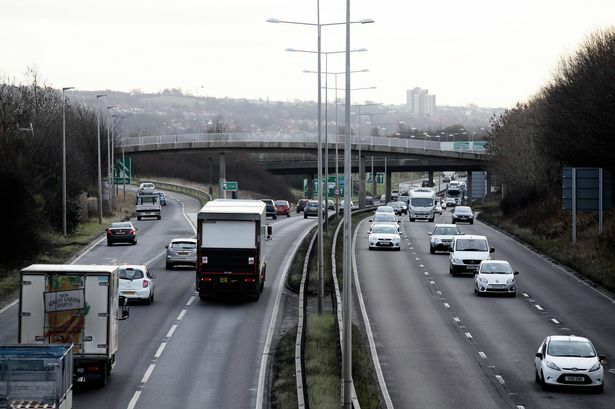 Three lanes of the road from the River Tyne up to North Brunton would be widened, but because the central reservation would be used the narrow lanes cause a 50mph speed limit. On Twitter we asked if readers agreed with the 50mph plan, RT for Yes or Favourite for No. On Facebook, Twitter and on our sites you’ve been very vocal in your views. the roads is only going to get larger so the nettle needs to be grasped. The speed limit of 50 mph whist perhaps needed at busy times is completely unachievable then anyway and at quieter times is totally unrealistic, unnecessary and just a good way of getting money out people. Give us three lanes with the correct speed limit of 70mph for a road of its type. Michael Powell said: No point widening it if its kept at 50, its just a money making exercise catching ppl out and fining them for speeding. David Surtees said: Waste of flaming money. Dual the bloody A1 all the way North. Ooh and fixing the potholes properly is a bigger priority! South is on the top deck with no slip roads, all the local traffic which needs to use slip roads use the bottom deck. Therefore through traffic does not get held up with people joining and leaving all the slip roads. Neville Scott said: There are far to many cars on the road with some family’s having four or five cars with some housing estates resembling a giant car park, we really need to now look at restricting car ownership per household and investing heavily in public transport and with more cycle lanes or we are heading for gridlock fast even off peak! David Scott said: Roll back into the 80s - the road was out of date before completion. Should have been three lanes then. No vision! Mark Howie said: Widening AND reducing the speed limit doesn’t make much sense - if you’re creating more space then you shouldn’t need vehicles to run closer together. They should consider variable speed limits as seen as lots of motorways these days. With active cameras they do a very good job of reducing delays at busy times. Andy Wardle said: It’s already 50mph limit. It’s idiots on slip roads and tailgating that are the problem.